Today’s cars and trucks in Bedford PA get more and more complicated with each new model; and while these improvements are great for the convenience of driving… it can be trouble when they fail. You’ve probably noticed a bunch of warning lights on your dash when you start your engine. They flash on to test the circuits and then go off if everything’s OK. One of the warning lights looks like a car battery. You might think it’s just there to tell you about the battery alone; but it identifies much more. 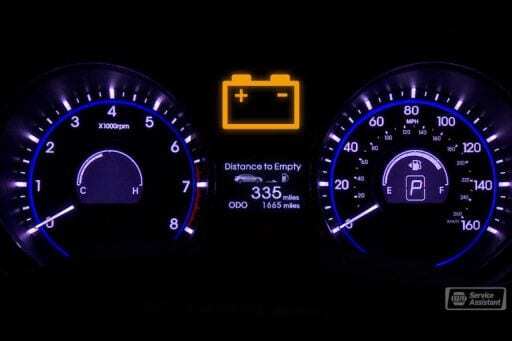 The battery light is the light that signals that there is a problem “somewhere” in you electrical system. 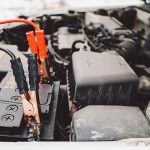 It could be the battery or it could be another part of the charging system such as the alternator, wiring, fuses and more. The ASE master certified mechanics at Town Hill Auto Repair Service in Bedford PA are factory trained in diagnosing charging system problems and determining why that light is on the dash. A vehicle battery stores electricity – enough to start your engine and maybe a little more; but that’s about it – you can only get a few miles in Bedford PA traffic on battery power alone. The alternator, after the car is started, kicks in to generate power to run your engine and power your electrical accessories like the stereo, power seats, heater fan, on-board computers as well as charge the battery. Vehicle brands like Honda, Chevy and BMW respond differently when your charging system begins to fail; for example many European cars the battery light does not come on until the power level of the vehicle begins to effect the ECU (computer), by then you only have a few minutes of power before you are stranded. Many newer American cars the ECU works in concert with the charging system. If power begins to fail it will start to shut down other systems like the air conditioner, ABS, SRS and others to try and conserve energy. Regardless the type of car the ASE master certified mechanics at Town Hill Auto Repair Service in Bedford PA are factory trained in diagnosing charging system problems. There’s no sense in hobbling along with an alternator that’s not working properly. It will fail at some point and leave you stranded. 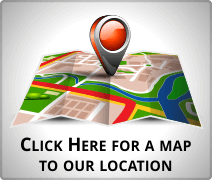 Get a bad alternator replaced as soon as you can. 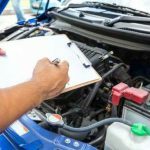 Your factory trained Napa service technician at Town Hill Auto Repair Service will install an alternator that meets or exceeds your manufacturer’s specifications. Some folks use a lot of additional electrical gizmos in the vehicle, like computers, DVD players, power inverters and such or may regularly tow a camp trailer that’s battery recharges as you drive. If that sounds like you, talk with your service advisor at Town Hill Auto Repair Service about upgrading to a more heavy duty alternator to meet your needs.